With the Neo Power Motion Bib, compression is the key word. But what is the advantage of compression? First, it favors blood circulation in the muscles. Good blood circulation during long rides allows better performance and increases resistance to fatigue by up to 10 – 20 %. Second, it helps prevent muscle vibration which causes additional fatigue and soreness. The shorts of the Neo Power Motion Bib are made with Power + LYCRA® fiber and Endurexx fabrics, which both offer great stretchability and compressive properties. In addition, a Powerband at the cuff reduces lower leg pressure and provides support without restricting circulation. The Motion Airgel chamois completes this bib, designed for optimal comfort and efficiency on long rides. 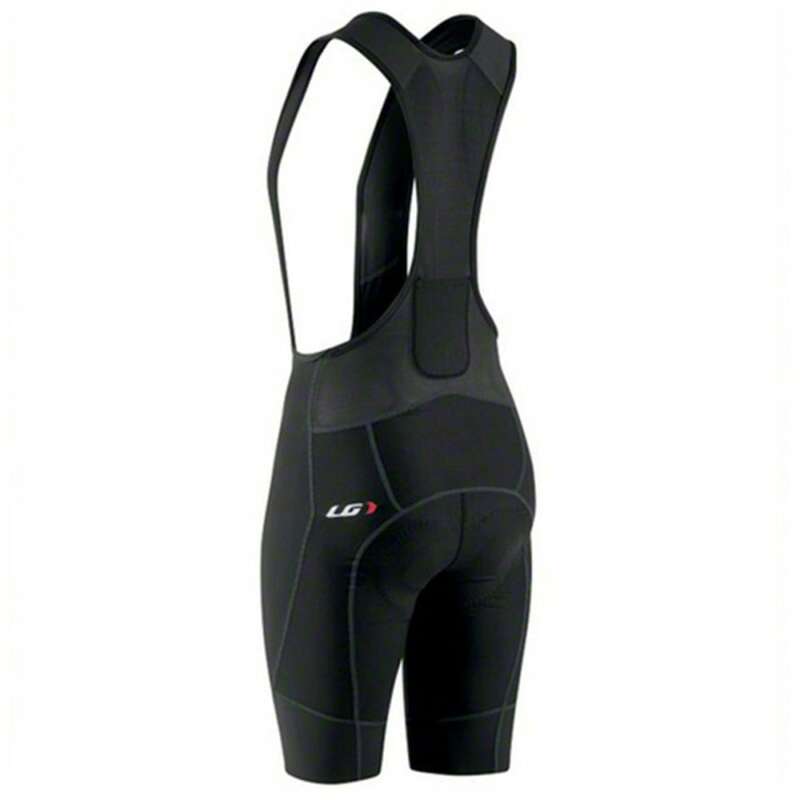 This product will be shipped directly from Louis Garneau and will leave their warehouse in 2-3 business days. Eligible for ground shipping only. 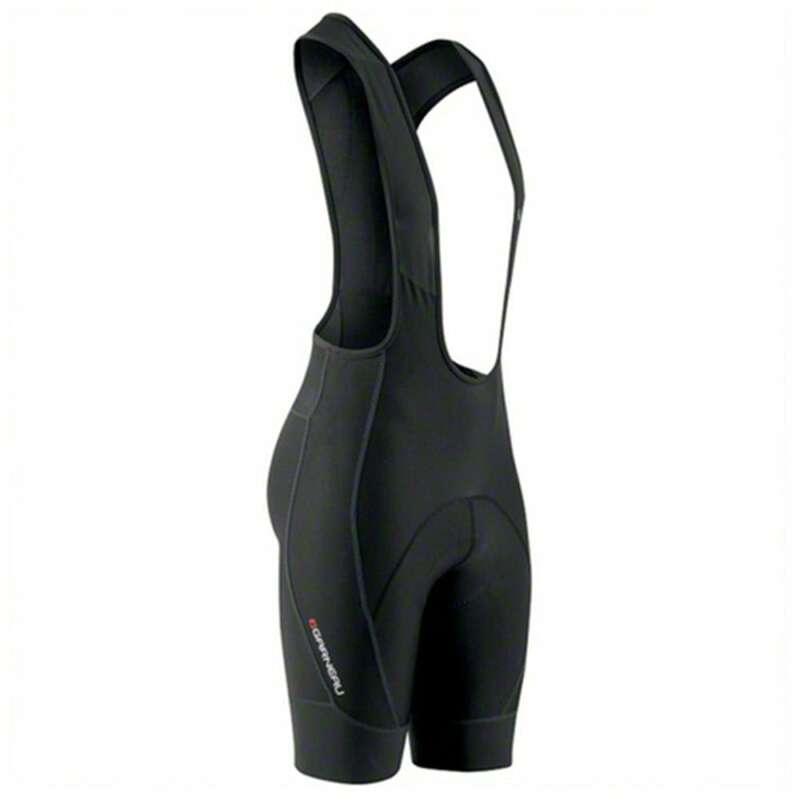 Comfortable chamois, ideal for long rides. Perforated gel inserts offer comfort and breathability. Multi-thickness perforated high-density foam for better moisture evacuation. Vents at the front help maintain breathability without sacrificing comfort. Central channel shaped to relieve pressure from the urethra(men only). A deep slit an the back is bridged by vented mesh to allow for multidirectional motion and amazing comfort. Developed with B.E.M. (Beveled Edge Molding) high-density perforated memory foam. This technology eliminates drastic drops of heights from one area to the other, resulting in a smooth transition without pinching points to eliminate chafing. Louis Garneau patented ergonomic shape. International patent pending.